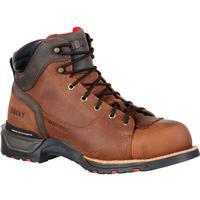 Rocky IronClad Waterproof Lace To Toe Work Boots is rated 4.2 out of 5 by 19. 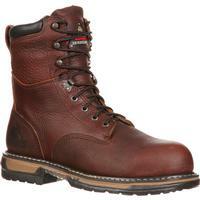 Rated 5 out of 5 by Scotty1 from Tough Boot I have had a pair of these on my feet for the last 11 months. Most days 10 hours but some 16-18 hour days. Boots are still going strong. I am in the construction business and I am hard on boots. 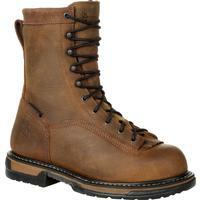 I replaced my Redwings with these Ironclad boots and will buy another pair soon. The tread is wearing down but that is expected.. stitching is good, eyelets are still good and still waterproof. At this point I feel these are the best boots i've ever worn. Rated 1 out of 5 by Josh84 from Not what they once were Had pair of these boots years ago when I installed lawn irrigation and loved them. Wore them everyday, dug holes in dry soil and mud all day long. They held up and kept my feet dry. 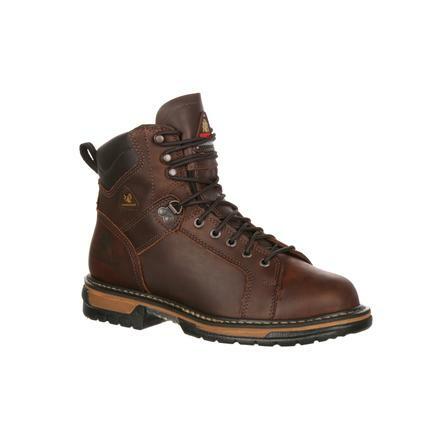 I am now a plant manager and thought another pair of Rocky boots would be good because of past experiences. Wrong, it has been less than a year and have had two pairs of these boots. First pair was purchased and the second was a replacement pair from Rocky for warranty on the first pair. Neither pair made it longer than six months. I will not buy another pair of Rocky work boots again. Disappointed. Rated 5 out of 5 by Mike milkman from Great design and look. Every boot will fit the person differently. All boots/shoes are built on a last or mold.If your lucky when shoe or boot shopping you will find a boot or shoe that was made with a mold close to your personal foot shape. 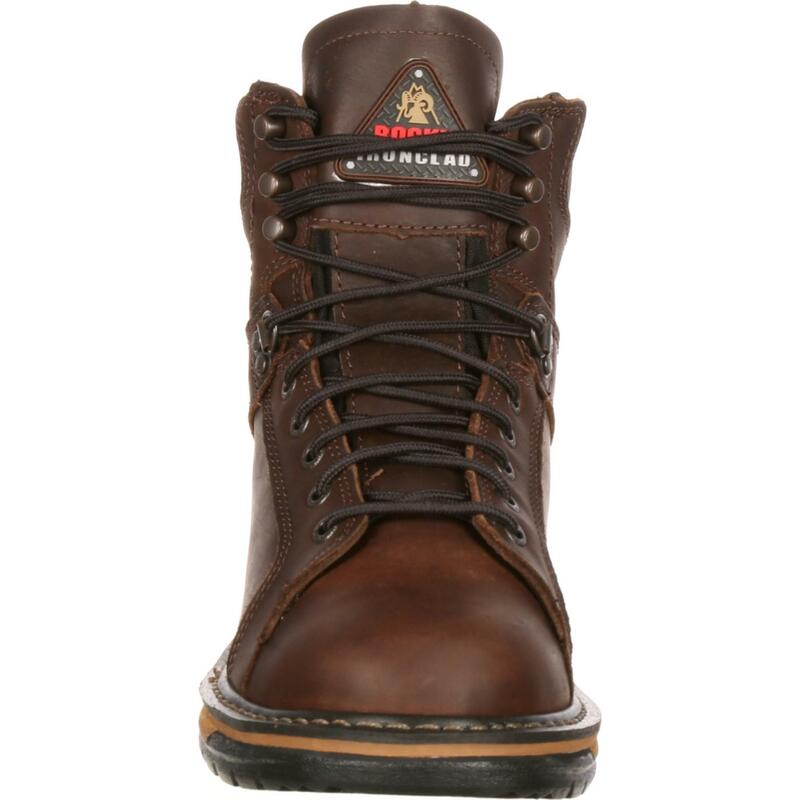 Well Rocky Iron clad boots are a perfect fit for me I love them. I work 10-12 hours a day as a delivery driver and would rather wear these boots over my sneakers. Perfect fit and support and comfortable. I buy 2 pair a year as my company has a shoe allowance and if we don't use it we lose it. the boots last longer than 6 months for me so I store my extra boots in the closet and buy my two pair a year. I know to much info right lol I'm bored sorry. Rocky boots keep doing what your doing! loyal buyer. Rated 5 out of 5 by PG1723 from Amazing Boot! I got these boots because the local hardware store had them on sale. I tried them on and they were extremely comfortable. That was four years ago. I am finally in the market for another pair. These boots have seen everything and are wore to their core after that time... but still wearable and still comfortable. I love these boots. I am a construction worker and am on my feet for a minimum of 8 hours a day, 5 days a week. Amazing boots is all I can say! Rated 5 out of 5 by Fitzy from Best work boot ever! We bought this boot for my husband who is a fleet mechanic. He is on his feet 10+ hours a day and in all kinds of weather. 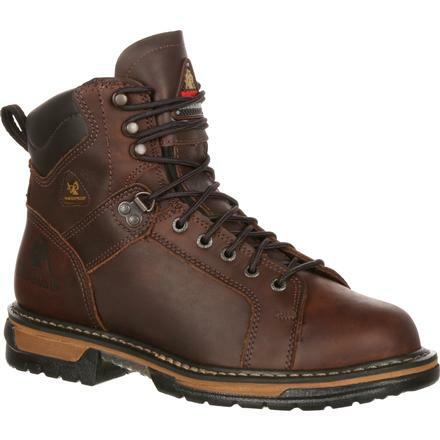 They have been the most comfortable boots amd have held up incredibly well. Boots are over 2 years old now. We will be buying another pair. Great job Rocky! 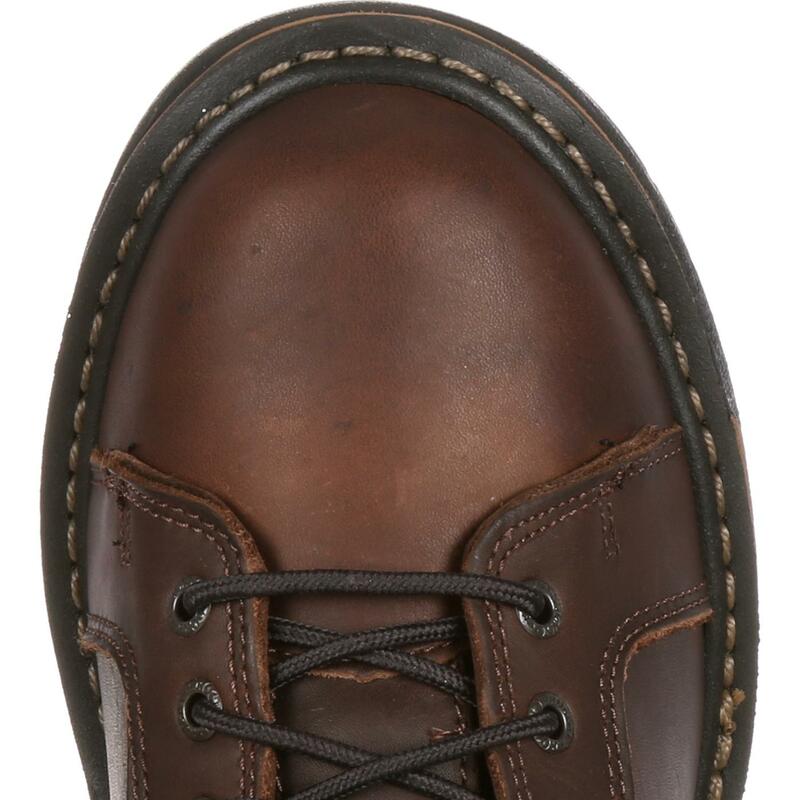 Rated 5 out of 5 by sunnyD from Top Shelf Best boots I've put on my feet so far. The lace to toe insures solid footing. 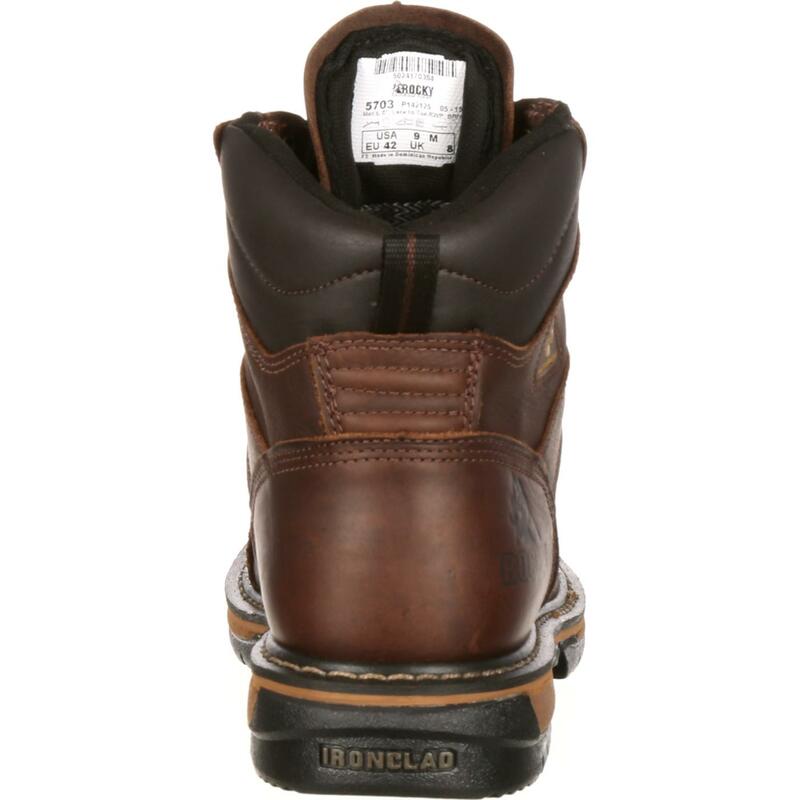 They have great support, traction and comfort that can keep u working all day and then some. I can't remember the last time my back has felt this good. 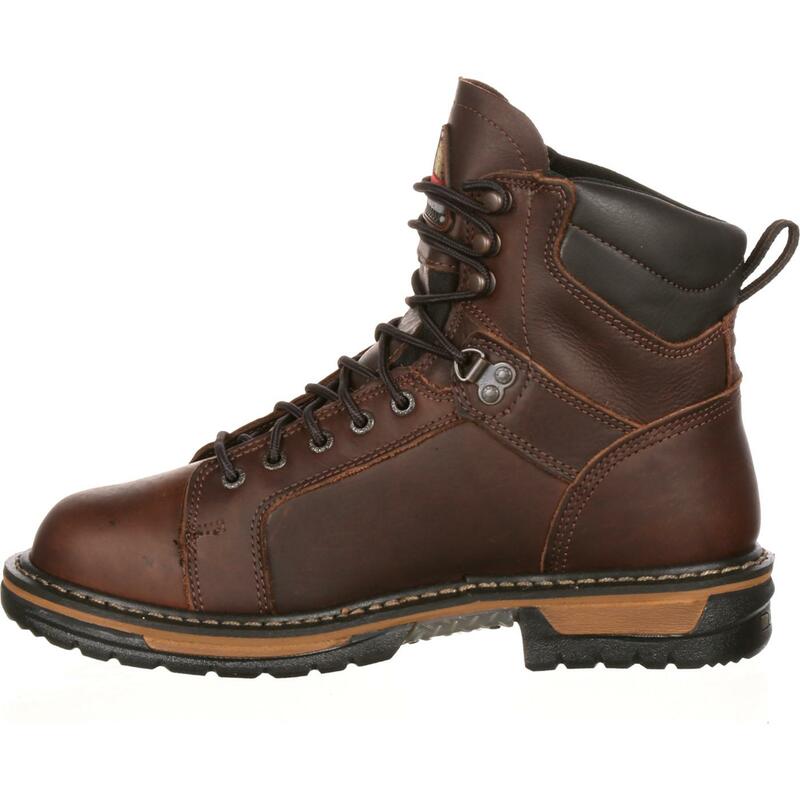 Rated 5 out of 5 by Steelers from Great boots! Have owned two pair ready for another. Have replaced insoles. Got two more years out of them. The two old ones are still good shape the soles are worn. But use them for outside work. Ready for new pair. Steel worker.